I hate February! However much I try to convince myself that spring is just round the corner I know it really, really isn’t (yet) and there is still a long way to go before Spring eventually arrives. This time of the year can be very gloomy and that’s why the snowdrop is such a special little flower. It pops up when you least except anything to be blooming and seeing a sparkling sweep of them has to be one of the best ways to brighten up my February day. Despite the cold these hardy little flowers grow in abundance here along roadsides, in woods, and ditches across the countryside. When I moved back to Glencaple after many long years away I was astonished to see such swathes of snowdrops around the place – but I suppose a young woman in the early 70s wasn’t much interested in such things! Snowdrops were probably introduced from Europe in the late 15th century and cultivated varieties became popular in Elizabethan gardens, but it wasn’t until the 1770s that they were first recorded growing in the wild. 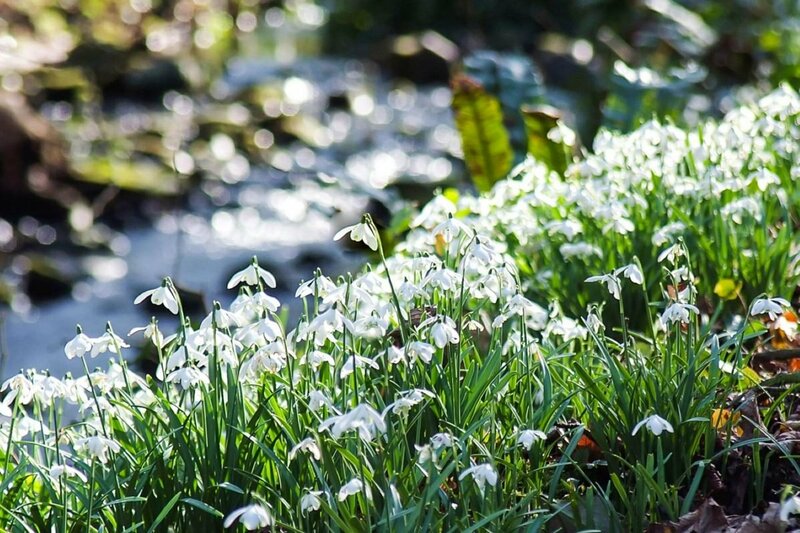 There are around 2,500 different varieties of snowdrops. And did you know that bees love snowdrops? They’re a vital source of nectar early in the year when not many other plants are in flower. Snowdrops were named after earrings not drops of snow. In the 15th, 16th and 17th centuries women often wore dangly, white dropped-shaped earrings known as “eardrops”….so they became known as snow drops. Some common names for snowdrops are Fair Maids of February, Little Sisters of the Snow and Candlemas Bells. Snowdrops were my mum’s favourite flower and she and her friend Kate planted lots on the merse just across from the Flat. Not hard to spot over the bridge outside the Flat. 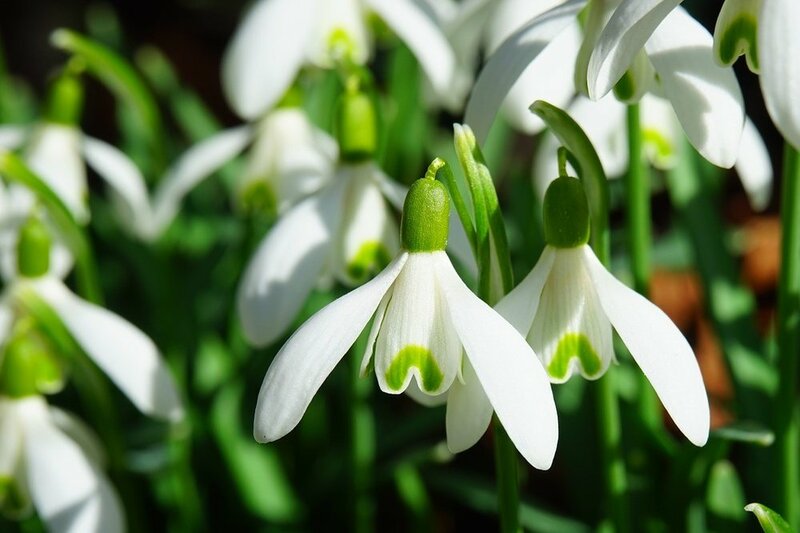 There are loads of wonderful gardens in Dumfries and Galloway and many are open to the public during February where you can see fabulous displays of snowdrops. If you love visiting gardens then the Flat in Glencaple provides a very good base to visit spectacular gardens in the region – see Gardens and Parks section of the website for more details. Check us out – it’s the perfect place! Call Sue on 01387770348 or email sue_greig@yahoo.co.uk to book.